The healing hot springs at Glenwood Springs, Colorado, in the Rocky Mountains has been a draw for tourists and swimmers since before the first homesteader in the 1880s. In addition to the spa resorts, it offers history such as Doc Holliday, wonderful restaurants, historic hotels and even an altitudinous amusement park! Just a few hours west of Denver by car or Amtrak, it makes a great weekend destination. SUBSCRIBE for twice-weekly blog post notices plus special offers from me. I never share your info - ever! 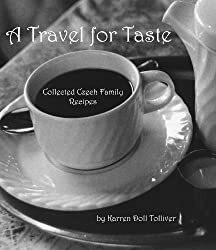 FREE GIFT for subscribing: pdf ebook of "A Travel for Taste - Germany EXTRA" cookbook! How did you hear about ATFT? Did you see these posts? Fly and Stay Cheap! Get up to $10 off with Promo Code FLY10. Book Now!